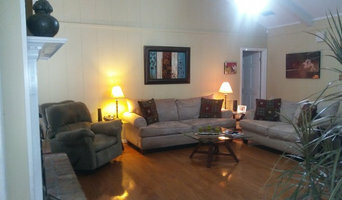 Upstaged offers home staging for homeowners and real estate professionals on the Mississippi Gulf Coast. Staged rooms photograph better and help home buyers visualize furniture placement so they can imagine themselves living in the space. We offer paint consultations and can help with other home decorating needs. For homes on the market, we can provide staging with the homeowner's own furnishings, or can stage empty homes with our stylish inventory, decreasing the time on the market and increasing the selling price. We offer gift certificates for our decorating services, which make the perfect "thank you" gift as your client moves into their new home! Welcome Home Staging & Investments stages (decorates) your home just prior to your listing it with a realtor. Once your repairs are made and the home has been cleaned, we will come with our own furnishings and set up each room with an attractive presentation to capture your buyer's heart! Professional staging enables them to envision themselves, and their own furnishings, in the space. Staging adds perceived value to your property. It shows that you value what you are selling. Statistics say that a staged home, on average, sells for 10% more than a non-staged home and spends 72% less time on the market! We are locally owned Home Staging and Home Improvement company. We also Specializes in Real Estate Staging and Renovations for Fiippers, Real Estate Agents as well home owners. 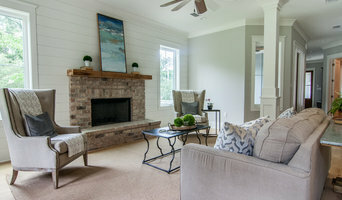 Interiors by Bridgette is a Home Staging and Redesign Business that was established in 2018. This business is new and fresh. Interiors by Bridgette is committed to the client/customer by ensuring that we provide them with the best experience in selling their home or feel as comfortable as possible while living in their home. Our motto at Interiors by Bridgette is "because you should enjoy where you live". Upstage Your Décor loves creating your home's best first impression. We are a full-service home staging and organizing company serving the Gulf Coast of Alabama. Out clients love us because we charge by the hour so we fit into everybody’s budget. Working together, we will style your home -- creating a clean, clutter free, warm and inviting space that buyers will love and remember. 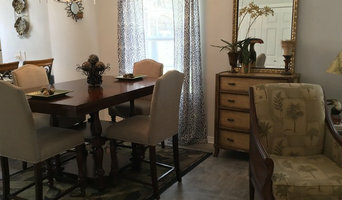 I know what it takes to make a home look its best and I can create living spaces with those special touches that sell. We will showcase the best features of your home by using items you already have, highlighting furniture placement, color, lighting, art and accessories. We are licensed, insured, certified, and professional. We love helping busy homeowners get their homes sold in the least amount of time for the most money. Upstaging today means upselling your home tomorrow! Abode is a full service certified home staging and design company. From de-cluttering to full home staging we are the best! We also offer full designs services as well as real estate photography. What does a Saraland home stager do? 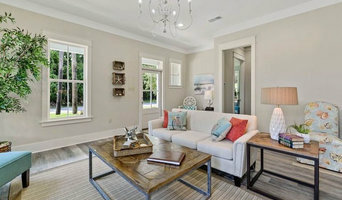 Home staging companies in Saraland, AL employ a variety of different techniques to present the home in the best light possible. The first step will likely be to make sure the home is impeccably clean, including the exterior of the house. Next the home stager will work on removing the personal touches that are unique to the current owners. Paint colors might go from dramatic reds and purples to neutral tones like beige and taupe, in order to appeal to the masses. The home will likely be cleared of family photos, risqué artwork, collections and knickknacks, so potential buyers will be able to better envision their own life in the house. In some cases furniture will be swapped out, and you might not even recognize your own house. Some Saraland home stagers tackle most of these tasks themselves, while others work with subcontractors and other professionals to get the job done. Here are some related professionals and vendors to complement the work of home stagers: Interior Designers & Decorators, Photographers, Real Estate Agents. The process of staging a home can be difficult for some homeowners, especially when being asked to change things you’ve poured your heart and soul into over the years; but try not to take anything personally, as the stager only has your best interest in mind and no intention of insulting your personal taste. 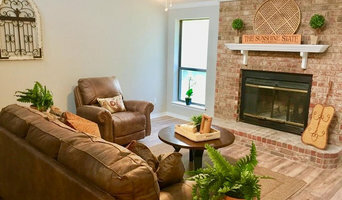 Before you contact a professional home staging company in Saraland, AL, make sure to consider a few things: Are you willing to change your home and take the advice of this professional to help sell your house? Do you think your house would greatly benefit from the help of a stager? How long are you comfortable having your home on the market? A staged home is likely to sell faster and, on occasion, at a higher asking price than a non-staged home. While there is no guarantee this will always be the case, it’s often true and can make the entire selling and moving process a lot less stressful in the long run. If you are selling through a real estate agent, it’s a good idea to get their opinion on whether staging your home would be beneficial to your specific situation. Find a certified Saraland home stager on Houzz. Narrow your search in the Professionals section of the website to Saraland, AL home stagers. You can also look through Saraland, AL photos by style to find a room you like, then contact the professional who staged it.